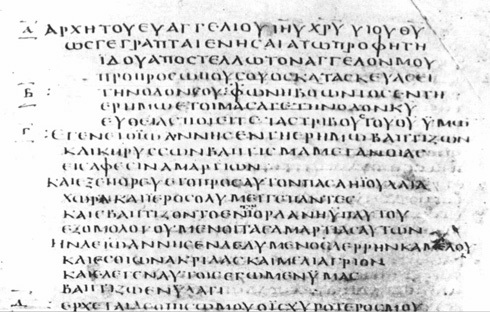 Early work of members of the group has revealed an astounding amount of consensus among different strains of tradition with regard to unit delimitation in Bible manuscripts. Statistically the supposition of some scholars that all these scribes were guided simply by their own intuition and predelection is unlikely. Apparently the traditions with regard to the correct reading of the Bible were upheld over long periods of time. Because marking of cola, verselines, strophes and higher structural units is attested in manuscripts and inscriptions dating from centuries BCE it is not impossible that at least in part these delimitations go back to the earliest stages of the biblical text in the making. At the same time it has become clear that all traditions, including the Masoretic one, suffered to some extent from incomprehension, negligence and high-handed innovations on the part of the scribes. So the data from the ancient manuscripts must be studied carefully and should be evaluated critically. Even if the scribes would have invented and reinvented the unit delimitations all by themselves, this is no excuse to ignore them, just as it is unwarranted to dismiss textual variants simply because they might be due to idiosyncratic scribes. Because theories about the history of the text of the Bible differ, also the methods advocated to perform critical evaluation are manifold. For this reason scholarly debate is an absolute necessity. It is far too early to accord any single approach a standard status. Therefore the Pericope Group sees it as a necessity to create a platform for debate. This has been found in international meetings organised under the umbrella of international congresses, first of the EABS and since 2001, in connection with the International Meetings of the SBL. To create a platform for publication of papers read at the meetings of the Group and for monographs devoted to subjects belonging to this largely unexplored field of study the series Pericope was founded. A third objective of the Group is making accessible collections of data on unit delimitation culled from ancient manuscripts to all interested scholars.